On Wednesday evening, the world’s most prestigious MMA organization announced they will be taking their talents to Australia when “UFC on FX: Alves vs. Kampmann” goes down inside the Allphones Arena in Sydney on March 3rd. 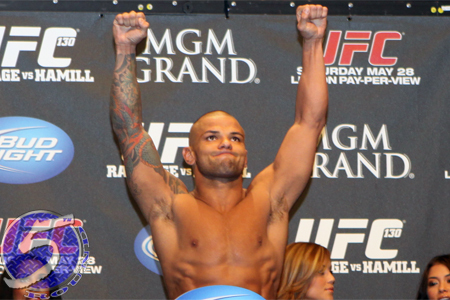 In addition to featuring the opening round of their four-man flyweight tournament, a critical welterweight shootout between Thiago Alves (Pictured) and Martin Kampmann will headline the FX broadcast. The event takes place Saturday afternoon in Australia. Due to the time zone differences, it has been reported the main card will air live in North America on Friday evening. UFC 127 this past February was the last Octagon show to go down in The Land Down Under. The Acer Arena hosted that event.